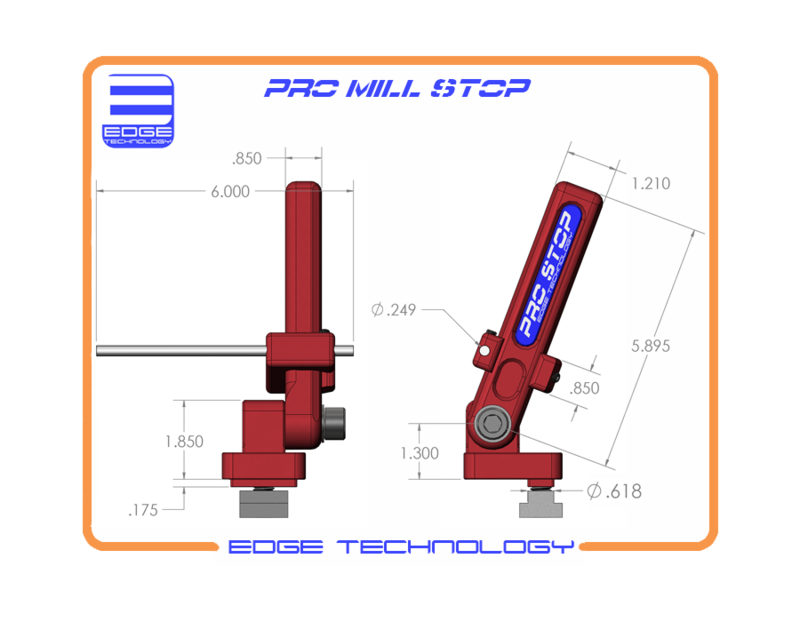 The Pro Mill Stop by Edge Technology can be mounted on any available T-slot anywhere along the milling machine table allowing it to accurately locate a workpiece for any type of setup. 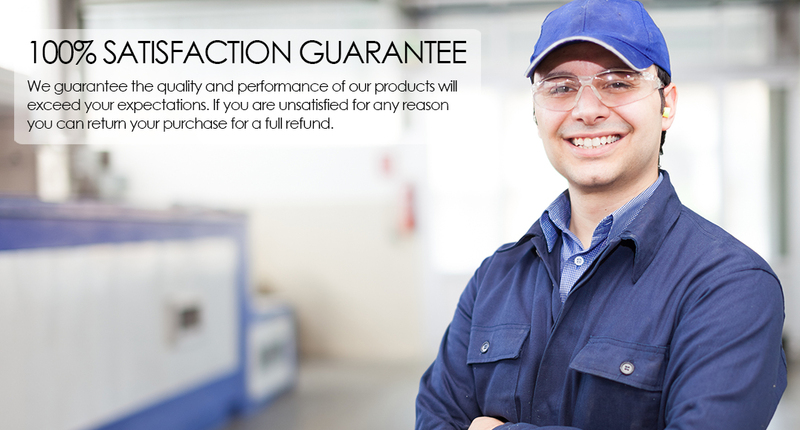 It is designed to keep the stop rod square to the work piece throughout the entire range of motion. 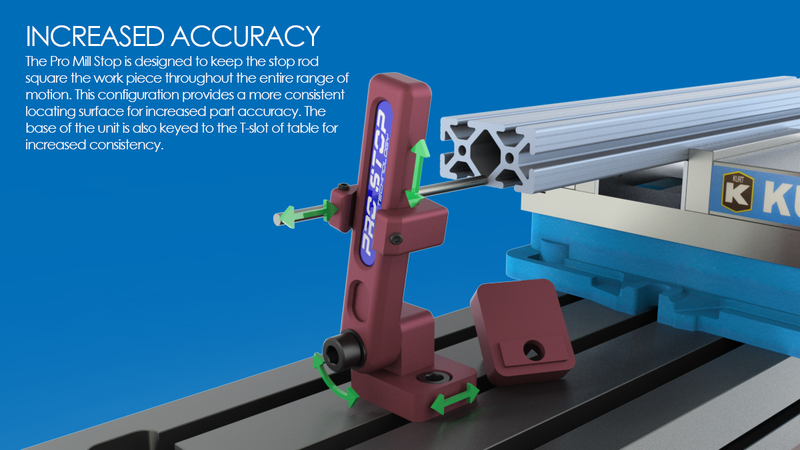 This configuration provides a more consistent locating surface for increase part accuracy. 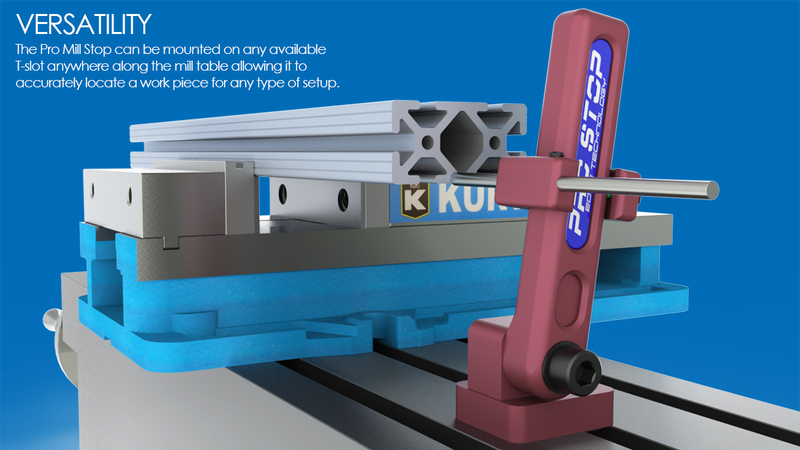 The base of the unit is also keyed to the T-slot of table for increased consistency. 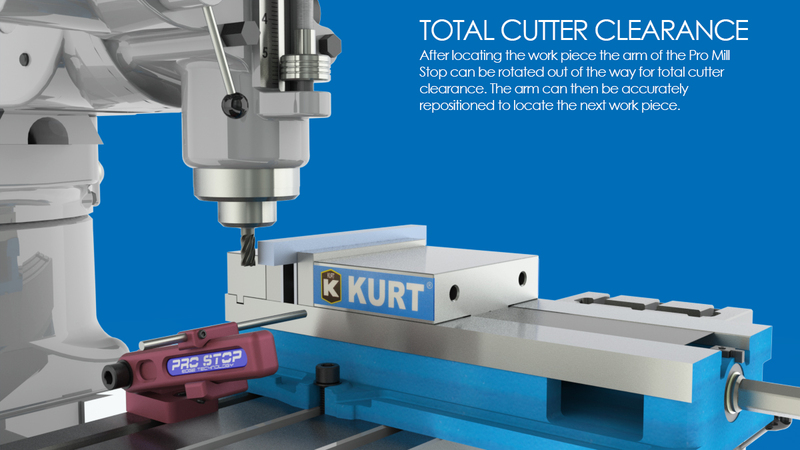 After locating the workpiece the arm of the Pro Mill Stop can be rotated out of the way for total cutter clearance. The arm can then be accurately repositioned for repeat setup. Protected by one or more US patents. •	Versatile design allows the 1/4" hardened stop rod to be quickly and accurately positioned. 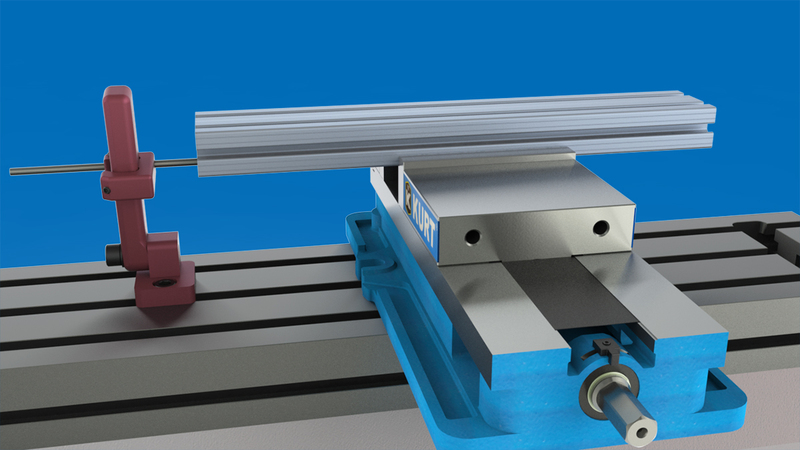 •	Stop rod stays parallel to the milling machine table so workpiece will contact rod face squarely for increased accuracy. •	Large 1/2"-13 bolt used to rigidly attach lever arm to base. •	Non-marring 1/4"-20 nylon tip set screw used to secure stop rod mount without damage to lever arm. •	Non-marring 1/4"-20 flat point set screw used to secure stop rod without damage. •	Base is keyed with table T-slot to keep unit square to work piece. •	Sized to fit 5/8" T-slot. T-nut included.